High quality design furniture. 3% discount for advanced payment. 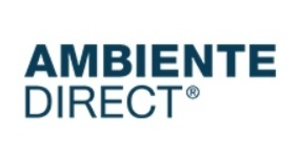 AmbienteDirect is the leading online supplier of exclusive designer furniture, lights and accessories in Europe. With nearly 300 international designer brands, such as Artemide, Foscarini, Flos, HAY, Gubi, Knoll, Rolf Benz, USM, Vitra, and many more, AmbienteDirect has a wide range of renowned brand manufacturers on offer for fans of classic and modern designs. Their products range from furniture and garden equipment to accessories and decorative items.